"Two Black Lines were Made , and Her day Was Saved"
You can use the liquid eyeliner for that dramatic and noticeable appearance. This cosmetic product lines the eyes making them stand out in the crowd of eyes. The waterproof forms works well more than that which is not waterproof. However, the waterproof requires a makeup remover to clean it. There are also different colors to choose with the common ones being brown and black. The black and brown colors usually look more natural than other colors. However, any color works great and will look good as long as it is applied properly. The good thing about the liquid liner is that its colors tend to look much sharper, bolder and brighter on eyes compared to the eyeliner pencil. When using this type of eyeliner, it is easier to fill in the eyelashes line. 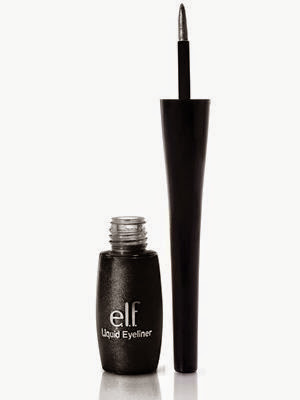 In addition, with a liquid one, it will be easier to control the thickness of eyeliner line. Exceptionally, a thicker line gives a more impressive appearance than a slighter line. This eyeliner is a very versatile and effective make-up tool. This is because of the ingredients that make up the eyeliner. These eyeliners have base ingredients, which are a blend of polymers and water that help form a film on the lash line. The colorants are another ingredient in this cosmetic product. The colorants are safe and approved by FDA for use around the eyes. These kinds of eyeliners also contain control agents that control the products pH, keep the product free from mold and bacteria and ensure the product applies properly. In liquid liners, xanthan gum is commonly used as a thickener. The ingredients of the liquid type makes it last longer once applied as opposed to the pencil eyeliner. When used with the Arabic makeup, you will create the most amazing cat eyes. The eyelashes look thicker and magnificent. The application pen also makes the applying process smooth and easy. A good liquid liner will also have a good tip for that thin line. Some are easy to fit into the palm for full control when applying. Other brands just need a single stroke or one coat for that dashing look. A liquid liner such as the Chantecaille Le Stylo has a calibrated tip for just the right amount of ink necessary. Even the beginners can get a good liner before they advance. When shopping, compare the different available for various brands to ensure you get the best brand. Some of the best brands are Urban Decay 24/7 waterproof perversion, Ever’s aqua liner, Revlon Colorstay Liquid Liner, NARS Eyeliner Stylos, Prestige, MAC Penulzimate eye liner, Lancome Artliner Eyeliner, Koji Dolly Wink, Smash Box, NYX and many more you can choose. Before purchasing any liquid eyeliner brand, read the readily available online reviews to make sure you do not choose a product that will irritate your eyes. The online reviews will also help you choose a brand that it is easy to remove and long lasting. Try a different product if the one you purchase causes pain or redness. It is also advisable to change your liquid liner after every 3 to 4 months.